First up: the date for my exam is already set. I will probably not be able to spend a full 200 hours on the subject matter before planning my exam. The plan will have to scale with the amount of time I will turn out to have available. Anyways, given that the exam was free of charge, it’s not as big a deal if I don’t pass it. Finally, and most imporantly, I figured that reviewing the exam objectives very carefully should be enough. Because the exam is brand new, there is no official study guide, nor are there any books specifically aimed at the exam. I was hoping to piggyback on someone else’s summary, but given that I couldn’t find any decent one, I decided to create my own. Create an overview of all exam objectives. The W3 wiki, if applicable. MDN (my personal favorite source for most web development topics). MSDN (it’s a Microsoft exam, after all). jQuery (Microsoft’s gambling hard on this library, it seems). 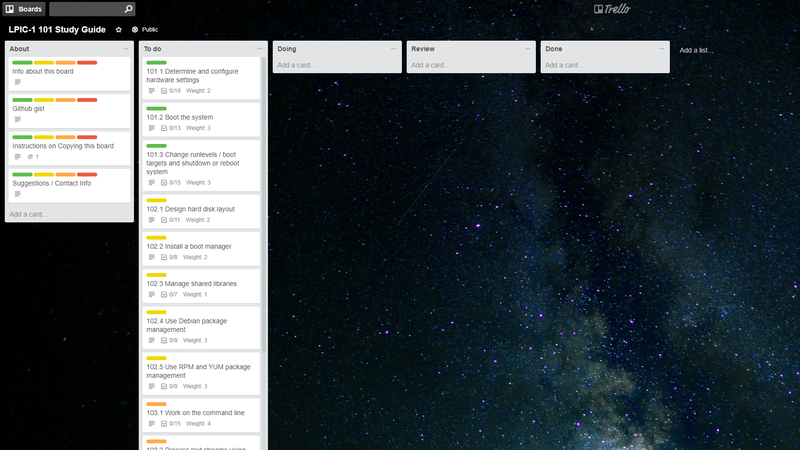 Review all objectives by reading through the linked pages. Creating the list and digging up all the links took a few nights work, all done over the course of the previous two weeks. Next up: two weeks of reviewing these objectives, followed by the exam itself. This is part 2 in a series on the MCTS 70-513 exam. The first part is an introduction, the second part describes the study plan I followed to complete the exam. How much time is reasonably needed to pass the exam? What materials are recommended and/or needed to pass the exam? The first question was impossible to answer or to find an answer to. The second one was a bit easier, even though I had to filter the many suggestions to use Braindumps. Here is my answer to both. These are pure study hours; breaks and such are not included. This is what worked for me; no warranty given or implied! I spent these hours mostly in the order above. Before these hours I had zero experience with WCF, a wee bit experience with ASMX services, and quite a bit of experience with ASP.NET. The great thing about these 200- hours: this is approximately what I estimated up front I’d need to get a passing grade. Here are some miscellaneous details about the abovementioned materials. This book by Juval Löwy is widely considered the most in-depth book about WCF. It explicitly focuses on the things the author deems important, leaving out (or just barely mentioning) the esoteric or “useless” bits of WCF. 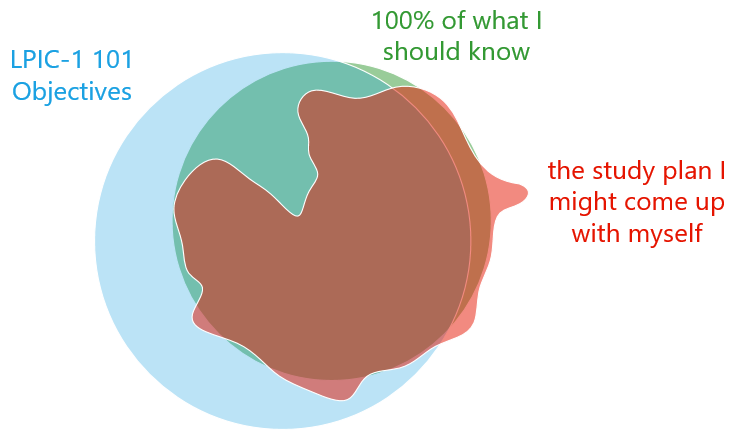 When studying for something I prefer to get in over my head, and slowly fill in the gaps. If you prefer to build up your knowledge steadily instead of doing a deep-dive: save this book for last. This book was probably the worst but most complete tour you could get for WCF. It takes you along most of the features with practical excercises, but is horrible in explaining things (even mis-informing at times). The worst part about this tour is the fact that you have to follow the tour guide to the letter, otherwise you’ll get lost without any clue how to get back on track. Glad I read the other book first, which allowed me to understand what this tour guide was showing me. 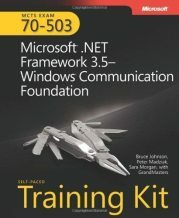 There is no .NET 4 version of the WCF training kit (makes you wonder how invested Microsoft is in this technology, huh?). Instead, most fora recommend just grabbing the 3.5 version. This book is very decent, has topics chopped into nice small chunks, offering a mix of theory, exercises, and training questions. It also was very complementary to the book by Juval Löwy. Answering questions on the various Stack Exchange sites is one of my current hobbies. It made sense to practice and test my WCF knowledge by answering questions, and I can highly recommend it as a form of study! It was based on the slogan: “If you want to get good at something, start teaching it!“. Words of wisdom. Okay, maybe not one of the brightest ideas I had. It did act as a general review of WCF, but in the end it didn’t feel worth it. I suggest you spend your time on something else. This was crucial to passing the exam. I printed all the objectives, and went through each letter of it, making sure I knew exactly what each and every item was about. 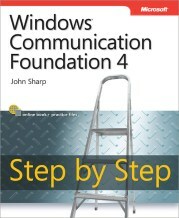 I reviewed every topic by at least looking it up in one of the books I had, and often enough I also went on to read more about it on MSDN. This exercise was useful not in the least because there were some objectives on the list that weren’t even mentioned in any of the books. WCF is a vast topic, boring in many aspects. Given that you’ll only use a small subset of WCF. Questions on the exam are horrible, with things like “In which namespace does class X reside?“. The exam on itself tests factual knowledge and not in the slightest practical proficiency. Yet still I’m glad I finished and passed without resorting to “cheating”. The above study plan is what did the trick for me. Maybe it’ll help someone else too. This is part 1 in a series on the MCTS 70-513 exam. The first part is an introduction, the second part describes the study plan I followed to complete the exam. 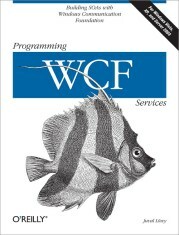 A few months ago I started studying for the MCTS 70-513 exam on Microsoft WCF (web services). Before I started I had already heard of a phenomenon I knew under the name “TestKing”: test-questions to prep you for the actual exam. As I found out, “TestKing” is just one of the more well-known Brain Dump providers: cheat sheets with just about all the possible questions you may get on your actual exam. Turns out a lot of people use these prep sets, usually as a companion to quite a bit of study time. They ginormously improve your chances of passing the exam, partially because they shield you from (amongst others) the utterly worthless type of question: “In which namespace does BadAssClassXyz live?”. In fact, it seems you can pass an exam with nothing else but about 20 hours of cramming those brain dumps. Early on, I decided I would try to get the certification without using brain dumps. Okay, glad I got that decision out of the way. Time to make a plan of attack, time to find out how much study time would be needed to pass the exam without resorting to cheating. So I hit up a typical Google query, but that turned up nothing. Following that I searched Programmers.SE, finding only this meagre question which just links to companies providing test exams or brain dumps. In the end, the only thing remotely useful was a blog post I didn’t find until one week before my exam date: this overview of MSDN links for reviewing the exam objectives. Turns out, nobody knows, or at least nobody has posted online how much time studying for MCTS exams typically takes. Is it 40 hours? Maybe 150 hours? Or even a 1000 hours? Sure, the answer will always be “it depends” to some degree, but if only someone had posted how much time it took him/her this could help get a general idea. So I decided to diligently keep track of my study hours, and publish them on my blog once I had passed my exam. By now I’m the proud owner of an MCTS 70-513 certificate. So stay tuned for part 2 in this series, where I’ll post the study plan actuals that turned out to be good enough for me. Read on for part 2, detailing the study plan.